Apple, which did not even run a commercial, got the best promotion by far. 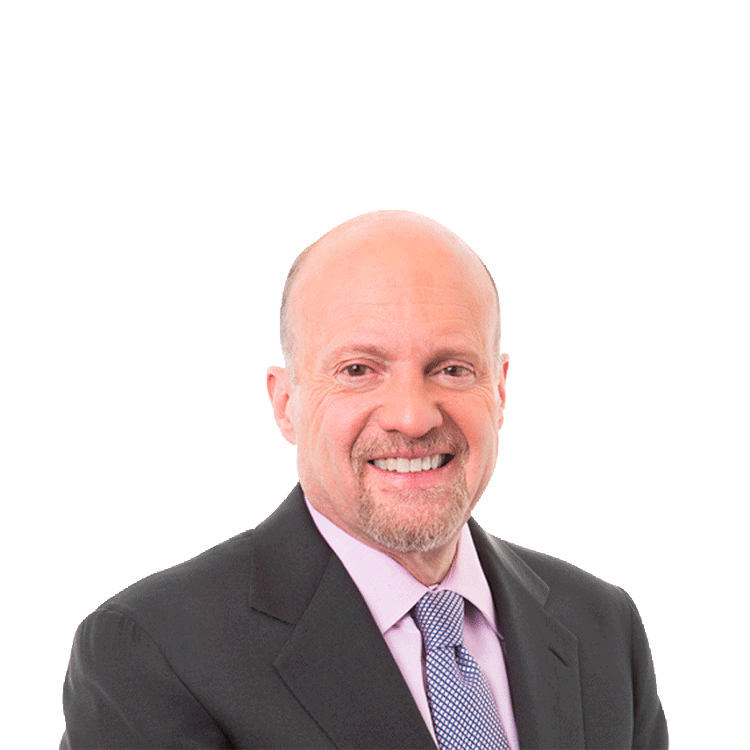 This post from Jim Cramer's blog originally appeared Feb. 6 at 12:52 p.m. ET on RealMoney. NEW YORK ( RealMoney) -- I saw a lot of commercials last night that were cute. Funny dogs. Smiling, mischievous babies. Lovable polar bears. I saw some stupid ones, too, like the insulting and endless demeaning of women by GoDaddy, or something about a kid relieving himself in pool. I guess that was an ad for porta-potties? But there was one ad that struck me as the most honest, most riveting and most compelling of all. You see, the game had just ended, and Colts great Raymond Berry ran the Giant gantlet with the Lombardi Trophy. Suddenly it seemed like every other Giant pulled out an Apple ( AAPL - Get Report) iPhone to snap pictures of the moment. One after another after another. And I said to myself, there it is, not some pet dangling a bag of chips or some headlights killing vampires or King Elton getting trapdoored. Nope, there was an ad worthy of Steve Jobs and the company he built. Of course, it wasn't an ad. It was just a collection of the most cool, most idolized competitors in the world whipping out their favorite device, which they had on the field, ready for action. This week on "Mad Money," I debated doing a series about the commercials and the stocks, just an attempt to put the commercials in perspective and use them as a training tool: Coca-Cola ( KO - Get Report) vs. Pepsi ( PEP - Get Report), General Motors ( GM - Get Report) vs. Chrysler. In the end, it didn't matter. To me, the endorsement of Apple by real athletes who were not paid, especially when contrasted with the gift of the GM Corvette that Eli Manning didn't even seem to care about -- "Eli, the keys, the keys, don't forget the keys!" -- said it all. I don't know if Apple rallied in part because others saw what I saw. The stock is still reacting to what I regard as the best quarter of the whole earnings period. There's ample reason why it can keep trading higher, especially when you consider that it could earn $50, and when you back out the $100 in cash, it is selling for only 7x earnings. But what matters to me is that when everyone else is paying $3 million per commercial, Apple paid nothing and easily had the best ad of all. At the time of publication, Cramer was long AAPL and KO.